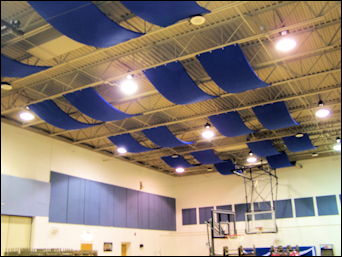 Tapestry Sound Panels are PVC wrapped acoustic panels that drape horizontally from your ceiling. These are ideal for controlling excessive sound wave reverberations in large commercial open spaces with metal decking. Available in 25 colors, Tapestries are cut as a 4′ wide x custom length up to 20′, and suspend via the grommets we place into the Tapestries for you. 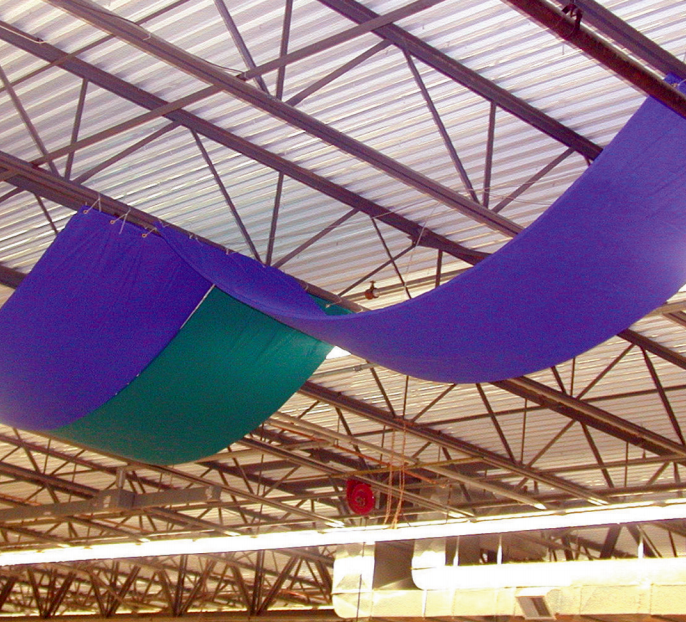 Tapestry Sound Panels are sold in 4′ widths x custom lengths up to 20′. You control the color, the length of each panel, how you want to loop it from the ceiling, and the location of each section. Again, the key is to not under treat the room, so our help desk will control the coverage amounts to ensure you meet your intended sound values. Your Tapestries will have grommets placed across both ends of each piece. To create the sensation of the loop, simply space the ends of each section as you wish to create the loop design you like. 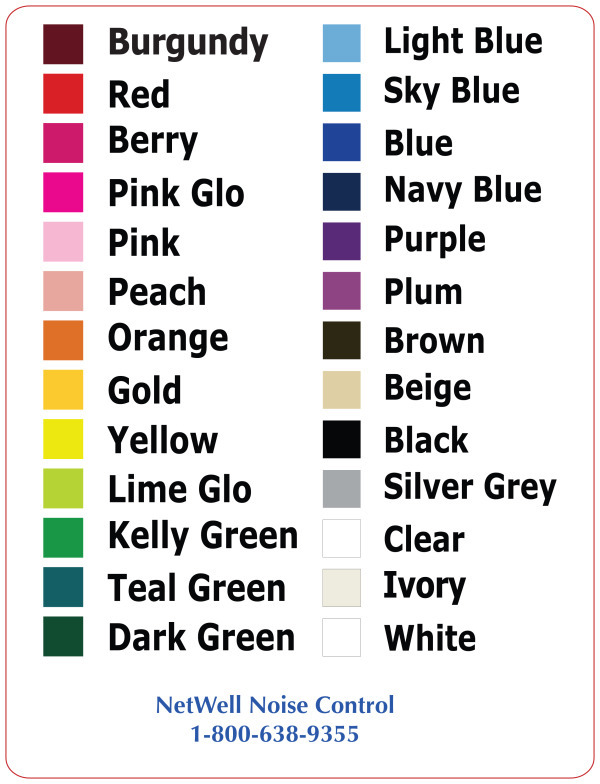 Your color options include 25 different color selects. You have the option of placing one color on onside of each piece, and a different color on the opposite side for a nice visual appeal. Or you can have the Tapestries all wrapped in the same solid color. Tapestries are nothing more than an elongated version of our individual VET Baffles. VET Baffles are typically far more popular due to their vertical suspension and lower levels of interference with lighting and sprinkler heads. Should you wish to convert your Tapestries project over to a VET Baffle project, simply call our help desk and we will equate to the number of baffles you would need based on room size. Each VET Baffle measures in size as a 4′ wide x 2′ tall sound panel that will suspend vertically by grommets in the top 2 corners of each piece. 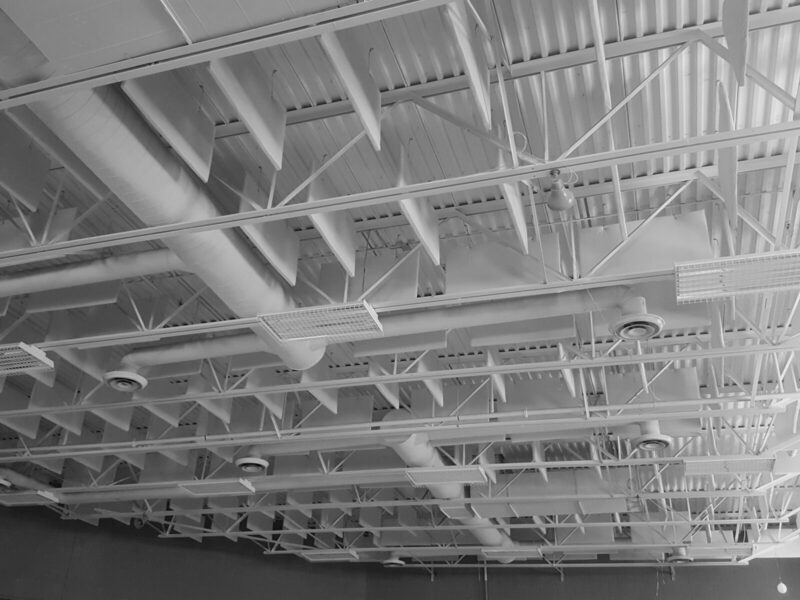 They are typically suspended vertically between the rows of exposed joists in an open deck metal ceiling. Tapestries will be bundled carefully and placed in boxes to be shrunk wrapped on pallets. Care should be given upon delivery, be sure to carefully inspect your shipment before your driver leaves. If you see any potential damage to your order, be sure to sign for as such while your driver is still there. It happens only on rare occasions, but if your panels are damaged, our only recourse is to replace the panels at the expense of the freight company, which only happens if you sign for the delivery as damaged. 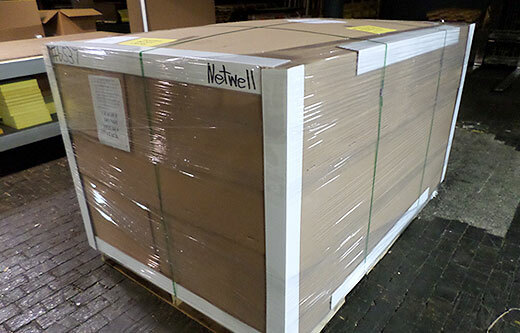 Be sure to notify our help desk if you need a lift gate for ease in delivery. To help aid in the quantities of Tapestries required for your room, use this tool to submit your Room Dimensions and we will provide your quote back. The goal with your acoustic treatment is to confirm that the right amount of Tapestries is introduced into the space. Use this form to submit your room’s dimensions and we will tabulate the count and quote the project back. Call 1-800-638-9355 for questions.